Theres a reason why youre holding this book. It might be because youre perusing the inspirational section, looking for a mental pick-me-up. Of course, it could also be because youve got some time to kill before a lunch/dinner date. However, youre still holding this book, and no matter where you are in your life, the words on these pages will help you.Reading this book wont solve all of your proble… ms, and you arent guaranteed to have some life-changing epiphany once youre finished. 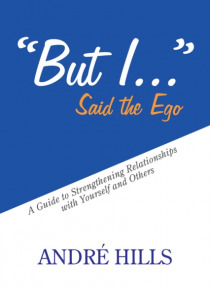 Instead, this book is a guide to clarity along the path of self-discovery and internal analysis. Some parts will be challenging, and some truths may be difficult to accept, but personal improvement isnt meant to be easy. If it were, we wouldnt need people like Andr.Andr has a true passion for helping others. He has an innate ability to ease the sometimes dichotomic conflict between emotion and logic. More importantly though, he connects with people on an intimate level. Andr doesnt identify wrongs and make them right. He talks with you and makes things better. And as a successful life coach, he wrote this book to help you do just that.